Public Service Announcement: Saying you’re going to start blogging again is an invitation for your laptop to crash. All is well now, so I’m easing back in with a couple of update posts. And one thing I’ve been asked about several times is how we’re feeling about our experimental year of homeschooling, now that we’re well into spring. 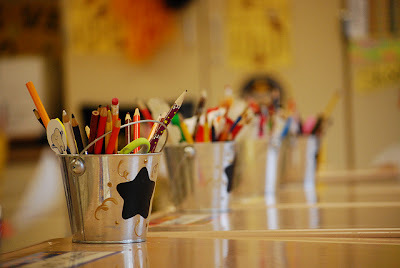 Last March, I wrote on some of my thoughts and fears as we were beginning serious conversations about what to do with Maya’s second grade year. After subsequent conversations with friends, friends-of-friends, and strangers, we decided to try homeschooling for a year and reevaluate. I began our year with very realistic expectations, thanks to the encouragement of other homeschool moms, and I think that made a huge difference. I knew there would be difficulties, and what those might be, so I was prepared. I was almost surprised by how smoothly our start was – thanks in large part (I believe) to a fantastic curriculum that walked me through each day with enough detail to bolster my confidence. Ten weeks in, I still couldn’t quite shake my surprise over how much we were enjoying this. We’d established a daily flow, she was actually learning (whew! ), and the joys were far outweighing the frustrations. I love being a homeschooling mom. I love having her home. I love studying a faith-grounded curriculum that embraces classic literature and doesn’t hide from tough subjects. I love the books we’re reading together. I love the fact that my math-averse self has been able to navigate my math-averse child through the subject well enough that she’ll end the year with her multiplication tables learned and even be slightly ahead. (What?!?) I love snuggling on the couch with her every morning, opening her Bible, discussing deep topics. Learning about aspects of ancient Greek, Chinese, and Roman history that I’d never studied before. I love that she still feels free to be an eight-year-old. That she isn’t coming home anymore with comments indicating the pressure to be into things she’s not ready for and doesn’t need to be. I love that she embraces her interests with confidence. I love that she is as social (and socialized) as she always was – possibly even more so. I love not having to drag her out of bed every morning. Not gathering backpack, lunch and coat and getting her out to the bus stop. I love being done with school by noon or before, taking days off when we need it, and scheduling a Disney trip for the week that public school is still in session. I love that she has more energy for dance classes and piano lessons, and that she gets so much time to play and read for fun. I love our weekly school dates at the local coffee shop, and our weekly homeschool group gatherings with friends. She still gets distracted easily and I still get frustrated. But we've learned to work together and how to run our days for the least likelihood of stress. And then sometimes we have a morning full of struggles and we have to take deep breaths and remember that tomorrow is another day. We're learning to roll with the punches. I hear of more moms all the time considering making this leap, and I relate so deeply to every feeling – the doubts and fears and the little heart-tugs. I get it. And while I would never ever suggest that this path is for everyone (we are still taking it year-by-year ourselves), I feel like what I can say is that most of the common fears I felt and I hear from others are truly unfounded. If you fear that you’ll never have time for yourself ever again, that’s all relative. Yes, one challenging aspect of homeschooling for me has been less potential time to focus on my own hobbies. But I’ve made enough adjustments that it’s become nearly a non-issue. Getting up early, continuing a mandatory afternoon rest time for both kids, and organizing occasional kid-swaps with other moms have all helped me carve out that down time. And since our actual “school stuff” is done so early each day, we have a fair amount of free time where the kids can play while I work on household chores or try out new recipes. Caring for an infant or toddler was far more consuming of my life than my role as a homeschooling mom of older kids. And the silly little fear I’d had about what will people think and the whole “weird homeschoolers” stigma … well that one fizzled almost immediately. I’ve been asked exactly once all year – by a friendly cashier at the grocery store – about why Maya was out of school. And my answer that she was homeschooled was met with zero negativity. I also frequently marvel at the number of homeschooling families I run into at the store or the library or any/everywhere. It’s fantastic. And I definitely know now more than ever that there is no such thing as a homeschooling “type”. I guess what I’m saying is, if you’re at all interested in pursuing this idea for your family, don’t be too scared by this stuff. Yes, there are drawbacks. But there are so many benefits as well. As I write this, I’m so thankful for the blessing that this school year has been in our lives, and I’m looking forward to the next one – with a few extra nerves, as we’ll be adding a kindergartner to the mix!